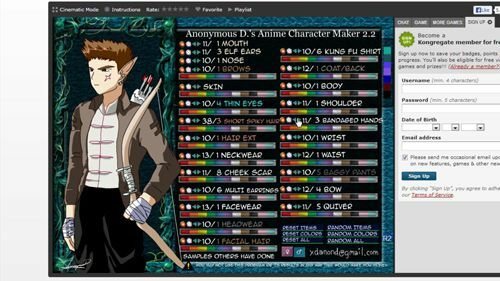 First of all you are going to need to visit a site that is going to allow you to create an anime character. 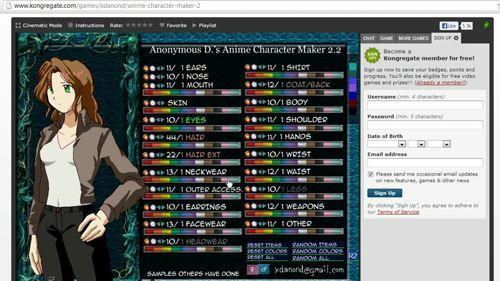 Go to “http://kongregate.com/games/xdanond/anime-character-maker-2“. Click the button in the center of the page called “Let’s get started!” You will then be taken to a page with a list of attributes. You can alter these attributes to create the desired character. First choose a gender in the bottom right. 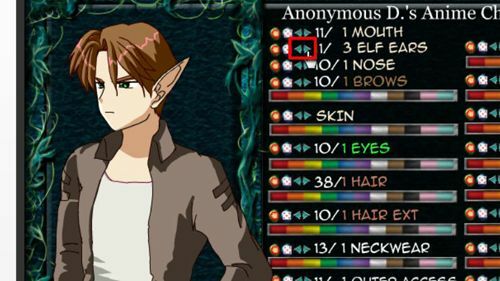 At the top, to the left of “1 Ears,” click the small blue arrow which points right to add ears to the character. You will see the ear appear in the image on the left side. This is your character preview. If you click the arrow multiple times, different types of ears will appear. 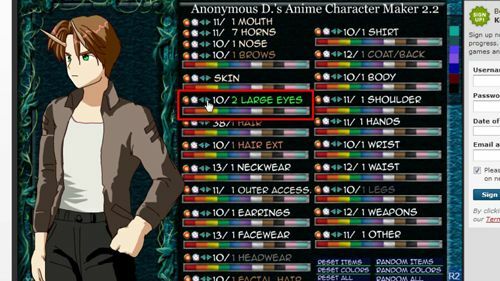 Look down the page to find the section which says “1 Eyes.” Click the blue arrow to the left to view the various eye types that are available, and then select the one you want. You can also choose color for the eyes or any other attribute. Essentially now you are just going to need to use your creativity to create your character. Here we are going to speed up the video to show the creation of a character. Once done the only way to save this is to press the print screen key on your keyboard and paste the result into Paint. 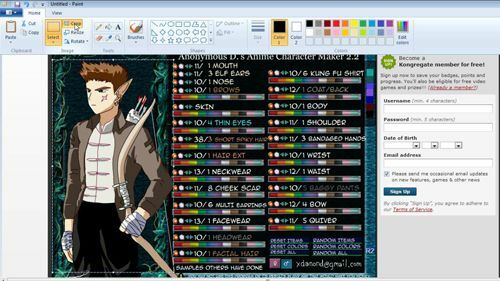 You can then use the crop feature to select just your creation – save the file just as you would any other image and that is how to create an amine character.